Please note that the content of this book primarily consists of articles available from Wikipedia or other free sources online. Choctaw Corner is a former town in Clarke County, Alabama, United States. 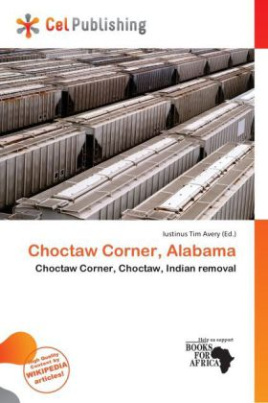 It gained its name from the nearby Choctaw Corner, which helped mark the border between the native Choctaw and Creek peoples prior to the Indian removal. The community was one of the earliest settlements in the county. Choctaw Corner had a post office by 1850. It was a prosperous community during the antebellum period and for many years afterwards. Then, when the railroad from Mobile to Selma came through Clarke County in 1888, less than 2 miles southeast of Choctaw Corner, the town began to die.